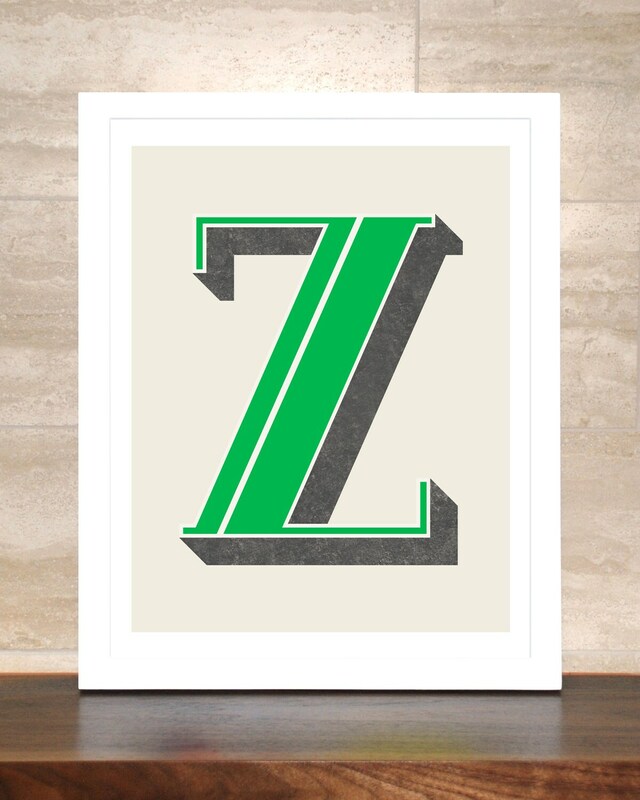 Z is for...Zoey, Zeke, Zuzana, Zeb, Zachary... 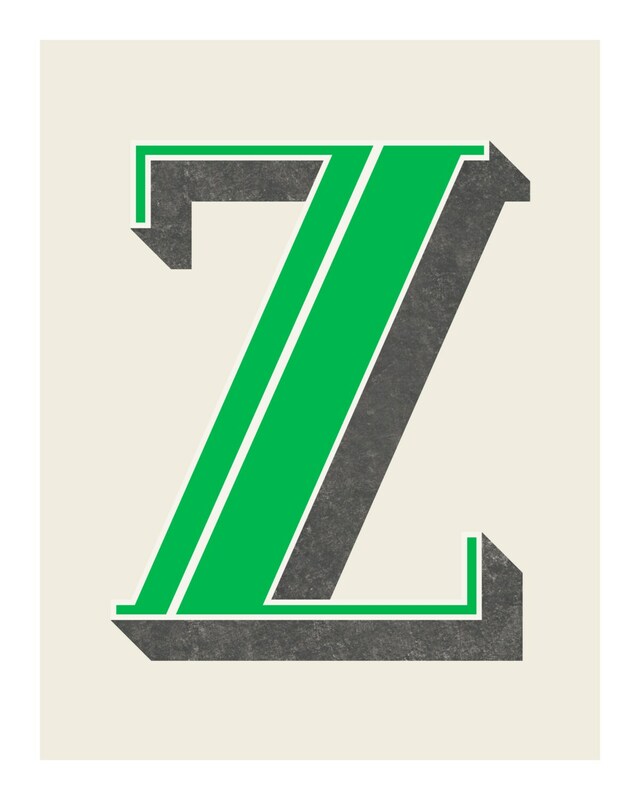 The Letter Z is printed in emerald green with a charcoal gray drop shadow and a white inline highlight on a putty colored background. Light digital "distressing" has been added to give the print a worn, retro look. Beautiful print! Just as it appears in the photo. Speedy delivery and packaged carefully. I will definitely purchase from Cindy again!